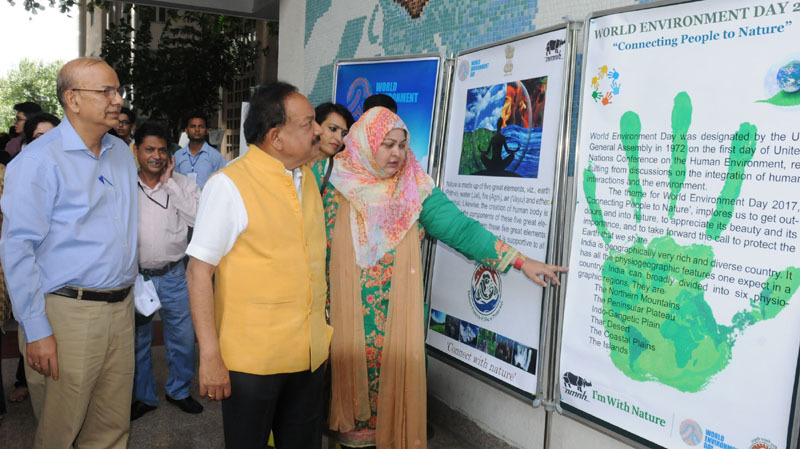 Environment Minister Dr. Harsh Vardhan visiting an exhibition at a function on the eve of World Environment Day (WED), in New Delhi on June 04, 2017. The Secretary, Ministry of Environment, Forest and Climate Change, Shri Ajay Narayan Jha is also seen. 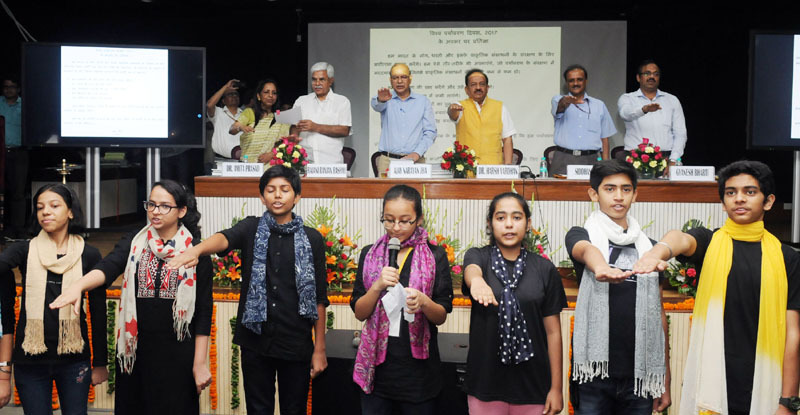 Environment Minister Dr. Harsh Vardhan; Secretary, Ministry of Environment, Forest and Climate Change, Shri Ajay Narayan Jha among others administering the pledge at a function on the eve of World Environment Day, in New Delhi on June 04, 2017.